Veteran editor and one of the pioneers of newspaper and publishing industry in the Northeast, Ghisalal Agarwalla, popularly known as GL Agarwalla, passed away at a private hospital in Guwahati on Thursday afternoon. Agarwalla, who was the chairman and managing director of GL Publications, had been suffering from critical illness since long and was admitted to a hospital in the city a few days back. Agarwala started newspapers like The North East Times, The Meghalaya Guardian and Purbanchal Prahari andAmar Asom. He was the rditor of Purbanchal Prahari, The North East Times and The Meghalaya Guardian. Agarwalla was the first one in the northeastern region to start multi editions of the newspapers in 1990s to make news available everywhere prompt in the landlocked region. Agarwalla was born on September 19, 1940 at Barpeta Road in Barpeta district. 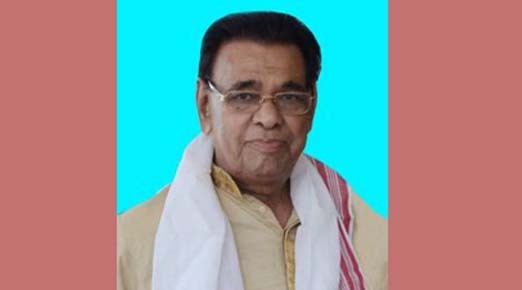 GL Agatwalla, who was the president of the reception committee of Asom Sahitya Sabha’s Barpera Road conference in 2013, also served as president of the Barpeta District Committee of Asom Sahitya Sabha. He also contested 2004 Lok Sabha elections from Tezpur on BJP ticket. However, he was defeated by Congress’ Mani Kumar Subba. Agarwalla, who lost his wife on November 19, 2018, was also the chairman of GLP Social Circle, a well known social organisation of Assam. Assam Chief Minister Sarbananda Sonowal mourned the demise of Agarwalla and extended his condolence to the members of the bereaved family. Asom Sahitya Sabha has also condoled the death of Agarwalla and said the void created by the death of Agarwalla in the Assamese society would never be filled. The Asom Sahitya Sabha also extended their condolence to the members of the bereaved family.